YamiPOd是一个可以在Mac windows linux上直接管理ipod的软件.不需要安装其他组件. 可以更新rss新闻 podcast 文本文件 歌曲同步 歌曲列表输入输出等 支持15种语言 . 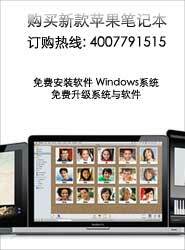 amiPod is a freeware application to efficiently manage your iPod under Mac OS X, Windows and Linux. It can be run directly from your iPod and needs no installation.